Israel’s reputation in innovation and entrepreneurship has been unmatched on a global scale. This has led multinational tech companies, including Apple, Microsoft, Google, and Facebook, to establish a research and development center in Israel. Although it is a tiny country with a population of 8 million, the city of Tel Aviv houses one of the largest startup ecosystems in the world, hence its suitability as a venue for Big Data events. Israel’s emphasis on innovation has led to a culture of entrepreneurship and the development of startups in a variety of fields, increasingly in digital health. In fact, there are currently more than 6,200 active companies listed on Start-Up Nation Finder, a free online platform that collects and organizes comprehensive information on the Israeli innovation network. Israel’s impact on the intersection of healthcare and big data is huge. The strong integration of electronic health records across all health settings in Israel has led to an abundance of rich clinical data across the continuum of care. This also contributes to the development of advanced technologies in machine learning and vision, enabling the analysis of large amounts of data or images to create insights. The event takes place in the Wohl Center, in front of Bar Ilan University, Ramat Gan. The venue itself exemplifies Israel’s architectural innovation. The Wohl Center was designed by RIBA International Award-winning architect Daniel Libeskind. The main assembly space is designed for private and business conferences and business, cultural and arts events. 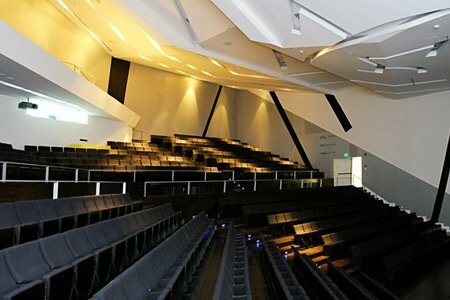 The building includes an auditorium for events of 250-800 participants and seminar and meeting rooms for more than 400 people. An additional auditorium can host 200 participants. The building is equipped with a state-of-the-art electroacoustic system. The venue is located close to Tel Aviv’s spectacular Mediterranean beach. In March 2018, Israel’s Ministry of Health and the Israel Innovation Authority announced a national digital health plan. Through this plan, the government will promote the implementation of advanced solutions of health organizations in the areas of personalized medicine, preventative medicine, and telemedicine, among others. The five-year budget for the national health plan is $264 million, indicating that Israel’s investment in digital health will continue to grow over time. Additionally, the national plan proposes to provide startups with access to the databases of Israel’s four health maintenance organizations, thus enhancing how data is shared and used across the country. 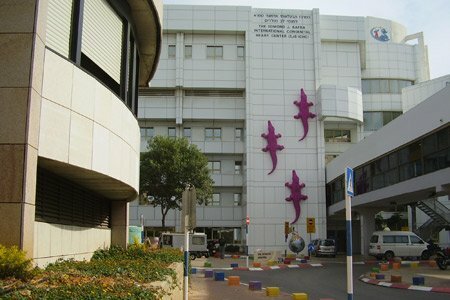 Within the Israeli biotech ecosystem, Sheba Medical Center has always played a central role. Recently, a new innovation strategy and at its heart a cutting-edge innovation center, known as ARC, promises to transform healthcare through digital health and smart medical device applications. As a sponsor of Big Data TLV 2019, participants will be exposed to the nuts and bolts of big data innovation and possible applications in medicine.